Belarus authorities estimate that the number of foreigners visiting the country has increased by 43% in the last year. Such an increase has surely been driven by the new Belarus visa-free regime introduced last year by the country. 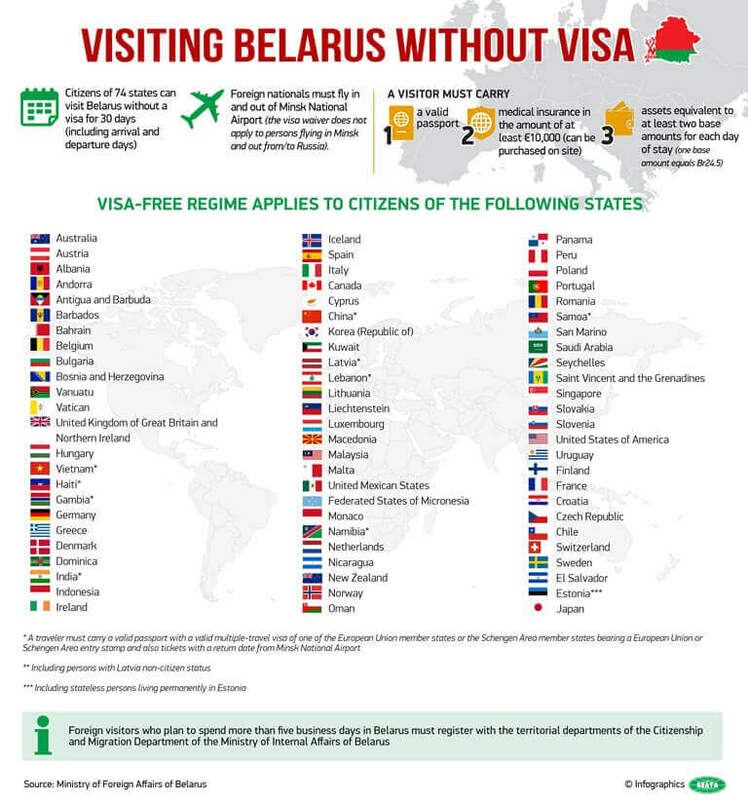 At the end of December 2017, the Belarusian President Alexander Lukashenka signed a decree, which established visa free-regime for nationals of several countries. The decree permitted those traveling to the country for tourism purposes to enter and stay for up to 10 days, after a successful 5-day visa-free regime introduced the previous year. Later in July 2018, the government increased the period of stay for foreign tourists to up to 30 days. 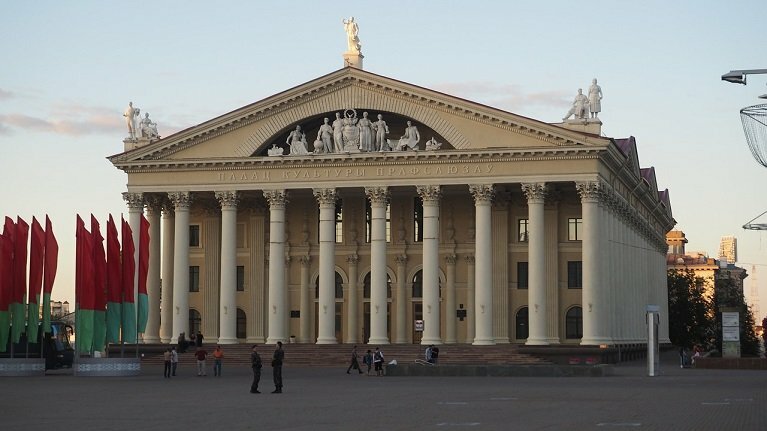 According to the Presidential Decree, tourists from 74 countries can enter Belarus for up to 30 days. However, they are obliged to enter and exit from the territory of Belarus only through the State border checkpoint of the Republic of Belarus “Minsk National Airport”. The Belarusian government has also invested in improving its international image and promoting its tourism attractions. “The visa-free scheme itself could not have increased numbers without better informing people about travel to the country. We have managed to so that,” the Belarusian deputy tourism minister Mikhail Portnoi said recently. In 2016, more than 79,200 foreign tourists have taken advantage of the 5-day visa-free entry to Belarus. According to authorities, the number of tourists extending the period of stay was insignificant. It is estimated that over half of the tourists to Belarus under the visa-free regime are from Russia. Another about 30% are from countries of the European Union, mainly Germany, Poland and Italy. 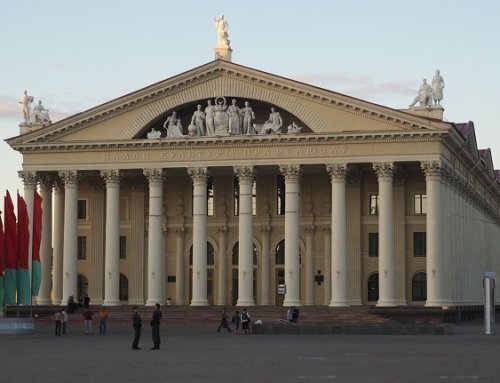 However, tourists from 74 countries can visit Belarus without a visa, including the United Arab Emirates, Nicaragua, Panama, and Antigua and Barbuda.